Vibrant Greyish Cobalt Blue. Suitable for all media, including fresco. Q: Can you tell me what pigment or pigments this contains? 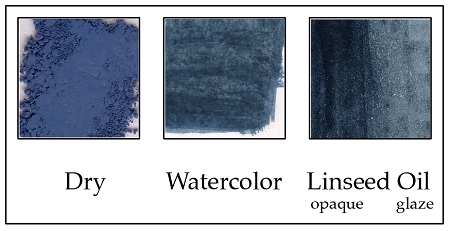 A: The Delft Cobalt Blue is a blend of Cobalt Blue Dark and Iron Oxide Black.